We invite you to stay at one of our hand-picked Liguria Bed and Breakfast accommodations and experience Liguria's magical atmosphere. The region of Liguria is known for its enchanting scenery - from the natural secluded beaches dotted around the coast line to its lush forests of lemon trees, pines, herbs and flowers, sending sweet-smelling breezes; to terraced hillsides that produce an olive oil considered more delicate than those grown in Tuscany. 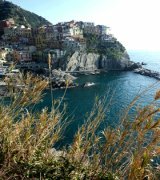 Our selection of Liguria Bed and Breakfast Rentals offer rooms by the night. Some also rent by the week and most are in country and seaside locations. They are quite popular and rented well in advance, especially in high season. We strongly advise you to book as early as possible, so you are not disappointed. 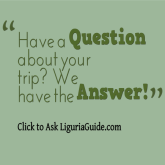 The properties in Liguria Bed and Breakfast Directory are listed from A - Z in each section. To see more info on each property, simply click on the B&B's image. Don't see what you're looking for? CONTACT US , we’d be pleased to recommend properties and activities that best suits your group’s needs and interests. been added to the site. located on a quite hill overlooking the Gulf of La Spezia and is tucked away in the woods of Monti di San Lorenzo offering nearby beautiful country walk paths and inspirational spots for aspiring painters and photographers. And if you are renting the property in the months of June or July, you will be in the perfect spot to witness the natural phenomenon of the golden butterfly. At the same time, the property is just 15 mins away from the city center of La Spezia where you can endulge in shoping and sightseeing. It is also a perfect base to explore the historical town of Sarzana - its castle, antique markets, bars and restaurants. The seaside lovers will not be disappointed either with the seaside town of Lerici offering many sport activities and beaches in close reach. 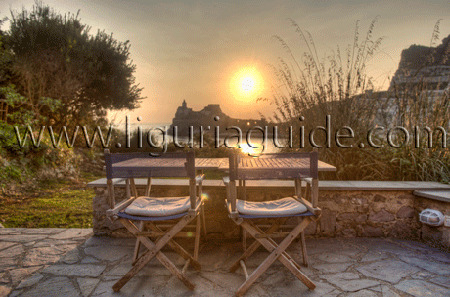 is located near La Serra , on the hills overlooking the town of Lerici . The building of the B&B was built at the end of 1700, in typical Etruscan style. It has a rich history and has hosted several illustrious guests during the centuries. The villa has a breathtaking view over Lerici and its castle , and the three islands of the Gulf ( Palmaria, Tino and Tinetto ) and the ancient town of Portovenere . 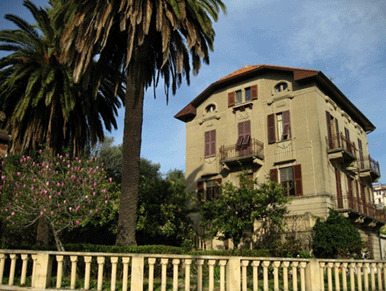 is located in the neighbourhood of Zanego, overlooking the sea from the rugged south coast of the Gulf of La Spezia . It sits amongst the hills, in the heart of the National Park of Montemarcello, offering not only great sea views but also an easy access to the hiking trails. The B&B is a lovingly maintained independent 'annexe' to a bigger Villa with large south-facing garden terraces with sea views. 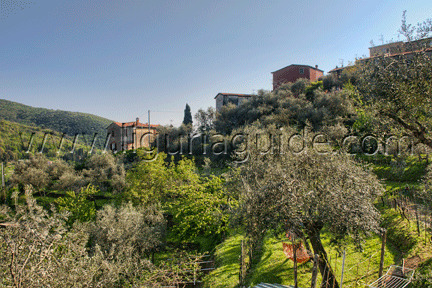 located in the historical town of La Serra , and sits on the slopes of the hills above the famous tourist town of Lerici . It offers splendid panoramic views overlooking the picturesque rooftops of the village and the magical sea of the Bay of Lerici. 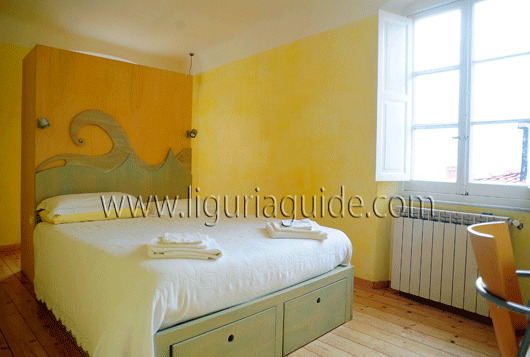 The B&B is a newly renovated, typical 18th-century Ligurian house. It is divided into 4 spacious and brightly decorated rooms of different size which can be rented separately. located at 600 meters from the sea, sitting on the hills of San Terenzo . It offers spectacular views overlooking the picturesque rooftops of the village and the magical sea of the Bay of Lerici. 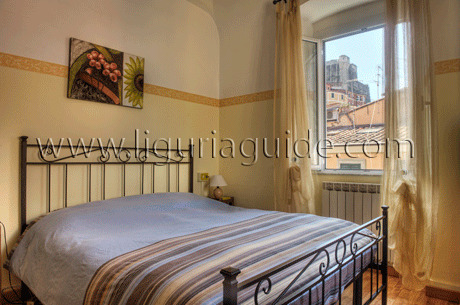 The Residenza offers a charming atmosphere created by the interior decorations of a local artist. It is a great base to discover the coastal area of the famous tourist towns of Lerici and San Terenzo . The Residenza is close to local amenities as well as the bars and restaurant along the sea front.